Indulge in the deep warmth of rich, aromatic chocolate without the calories… and actually end up looking more toned and chiseled! Sounds like a daydream, but this is exactly what this gorgeous little bronzer delivers. Inspired by a Hawaiian chocolate facial that Co-Founder and Chief Creative Officer Jerrod Blandino indulged in years ago, the Too Faced makeup range has adopted the powerful anti-oxidant rich properties of cocoa in a number of their best-selling products. From their bronzers, they first introduced the Chocolate Soleil which was followed by a lighter Milk Chocolate variation. As if these beauties were not enough! Too Faced went on to add the Dark Chocolate Soleil to the mix! The Dark Chocolate Soleil is a richer, deeper matte than its counterparts. Just one sweep of this bronzer gives you a strikingly sculpted contouring effect. First off is the packaging. How gorgeous is this golden medallion?! Reminds me of the golden coin chocolates we ate as kids. The palette is light and compact, and easy to carry around in my makeup bag and comes with a handy built-in mirror. Although a powder bronzer, it has a smooth and creamy finish on my skin. I am a bronzer hoarder, and have a ton of different brands under my stash. What really made this one stand out for me was the colour. It isn’t a flat dark brown, but has a beautifully warm brick-orange tint to it. This warmth gives the complexion a very believable sun-kissed finish. And what’s not to love about a bronzer that is enriched with skin-loving, anti-oxidant rich cocoa powder?! The smell of chocolate gets me every time. You can literally sniff it as soon as the palette is opened, and this itself is an aromatic treat that most bronzers fail to deliver. This bronzer has been getting a great deal of slack online for its shade. Fans of the previous Chocolate Soleil and Milk Chocolate Soleil were hoping for a dramatically darker shade with this new addition. As I mentioned above, this bronzer is not a true ‘dark chocolate’, and has a warm brick-orange (caramel?) tone to it. This bronzer may fail to show up on much darker complexions, so be weary and do a colour swatch before committing to a purchase. I for one love this bronzer shade on me, so it really does boil down to personal preferences. However, one negative for me is that my skin seems to soak up this product within a couple of hours. Blame it on the Dubai heat (or my chocaholic pores!) but I need to carry this palette along for touch-ups. The Too Faced range is available at all leading Sephora stores across the Middle East. 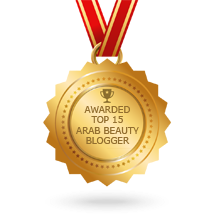 Posted in Beauty, Product Reviews and tagged Beauty, beauty blog, bronzer, dubai, Dubai Beauty Blog, Makeup Blog, sephora, Sephora Middle East, too faced, Too Faced Dark Chocolate Soleil. Bookmark the permalink.